- Research - Publications ..: Andrés Pintaluba S.A. :.. 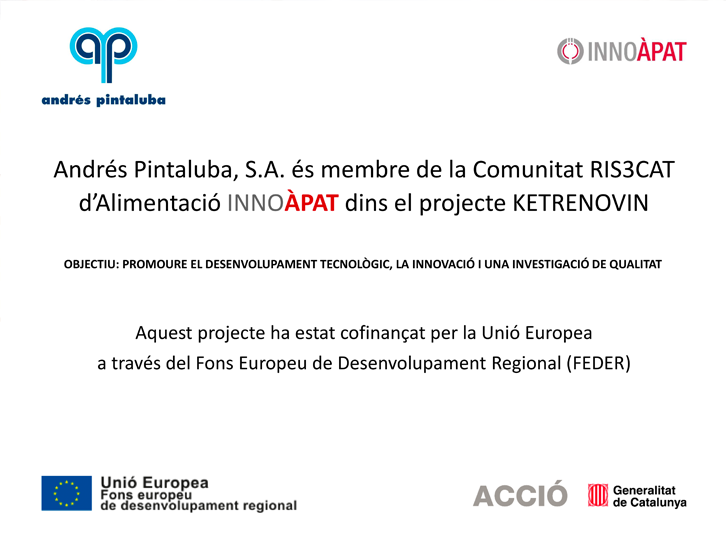 Innovation and technological development are key at Andrés Pintaluba, S.A.
CENIT Programme, for the CENIT VIDA project. Effect of the Use of Carbohydrases on productivity and intestinal health in poultry species. 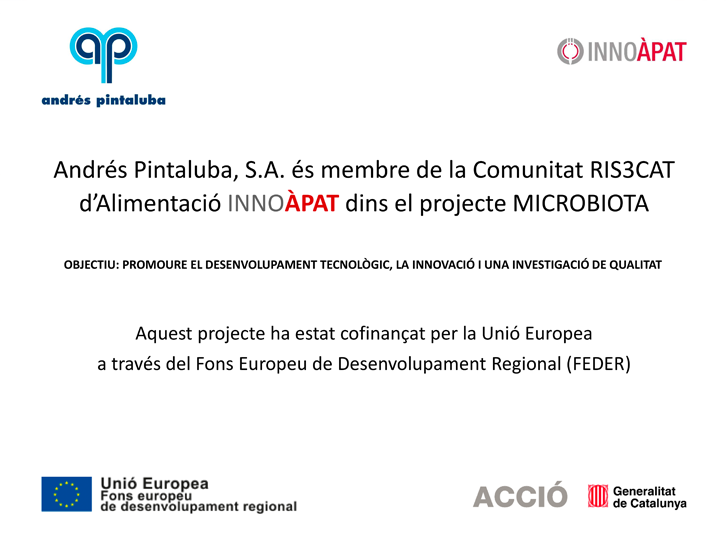 The overall objective of Andrés Pintaluba, S.A., in each of these multidisciplinary lines of research is to advance the development of new knowledge and products to improve animal health and nutrition.